This post is sponsored by i love blue sea. 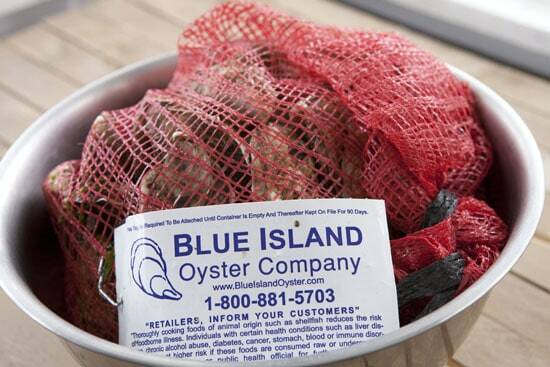 They make it possible to buy delicious seafood (like the Blue Point Oysters in this post) direct from the source. Find out how they work, and connect with them on Twitter and Facebook! You guys have probably noticed that the last few posts I’ve done have been oyster-related and sponsored by i love blue sea. They sent me a bunch of oysters and kind of let me do whatever I wanted with them. This was an awesome opportunity and one that I was very happy to participate in. That said, I kind of screwed this up! The last post I was using some wonderful Kumamoto oysters, and while they were good, they were a bit on the small side. This made them hard to shuck, but the flavor was great. Once I got the Blue Point oysters that I used for this post, I realized that I should probably clarify how I would order these oysters now that I’ve tried both of them. Both types of oysters were delicious, but I think just because the smaller ones are kind of a pain to shuck, I would use them in something like a seafood boil or maybe a stew of some sort where the oysters will open as they cook. They would be perfect for that. Meanwhile, these Blue Points are easy to shuck because they are larger and they remind me of what you would get in a very nice restaurant for probably $40/dozen. Just because I did raw oysters last time though, I decided to do something simple, but different, with these and make Fried Oysters. 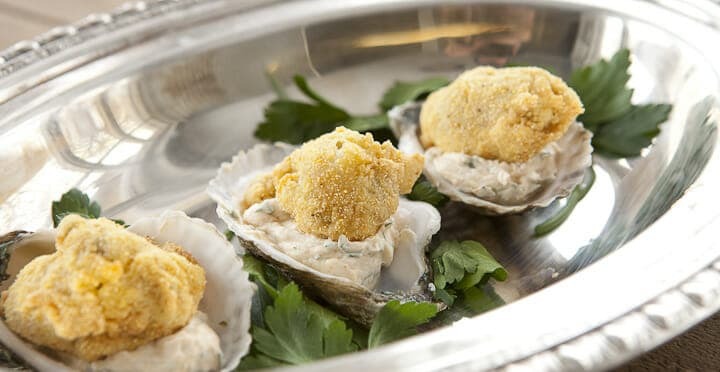 Simple fried oysters dressed up with a delicious and zesty goat cheese topping. This recipe features wonderful Blue Point oysters. 1) For the goat cheese mixture, stir together the goat cheese, hot sauce, lemon zest, parsley, and some milk just to thin it a bit. Set aside for later. 2) Shuck oysters being careful to leave oysters whole. Spoon oysters and juice into a bowl. 3) Whisk together egg with a few tablespoons of reserved oyster juice. 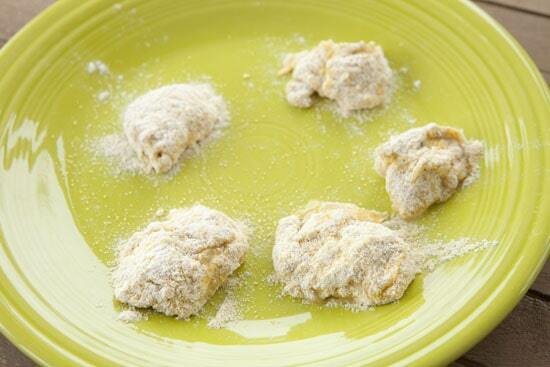 In a separate bowl, stir together flour, cornmeal and a few big pinches of salt, pepper, and cayenne. 4) Dip the oysters into the flour mixture, then into the egg mixture, then back into the breading to create a nice thick crust. Repeat with all the oysters and let the breaded oysters sit on a plate. 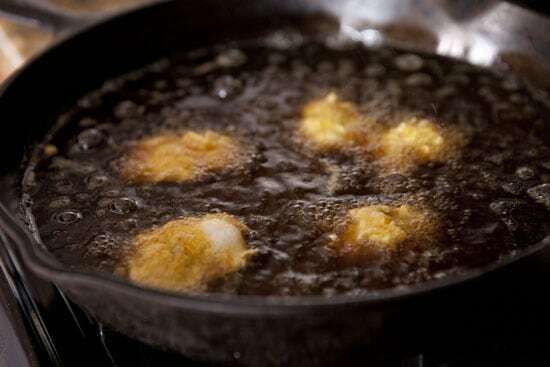 5) Heat about 1/2 inch of vegetable oil or canola oil in a cast iron skillet or any large pan. Once the oil is hot (350 degrees is perfect), toss in oysters. Depending on the size of your pan you might have to do it in batches, but you should be able to fit 12 in a 12 inch cast iron pan. 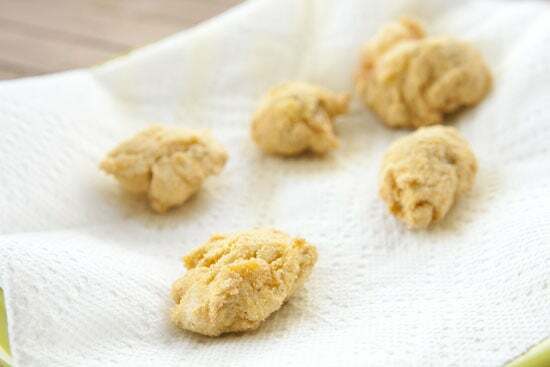 6) Fry oysters for 2-3 minutes, then flip and fry for another minute or two. 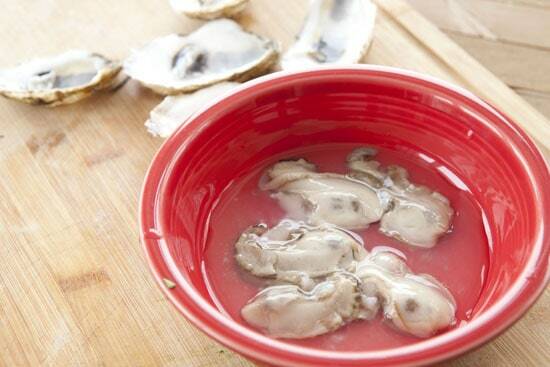 7) Remove oysters and let drain briefly on a few paper towels. 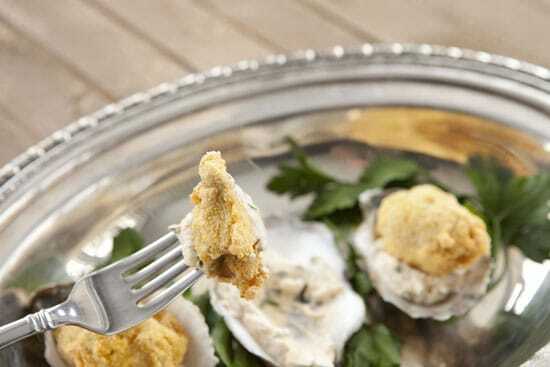 8) Serve fried oysters with the goat cheese mixture. To be honest, I’ve never seen Blue Point oysters outside of a restaurant. I didn’t know you could get them retail unless you happen to live on Blue Island. These are premium oysters. Sure, they are pricy at about $25/dozen, but that’s cheaper than you would ever pay in any restaurant and they would be great for a special occasion. Again, if you are shucking oysters for the first time, I recommend this video which does a good job of showing you how to do it, but the key to shucking is to find the joint at the end of the oysters and work your shucking knife into that joint. I tried to get a photo of the action though. Once you get your shucking knife in that joint, it’s just a matter of lightly applying pressure until the shells separate. Then run the knife around the top to cut off the oyster and you’re all set! I wrote this recipe for a dozen oysters, but I just did five which worked out to be a great little lunch for me. Five of these is a pretty good meal. 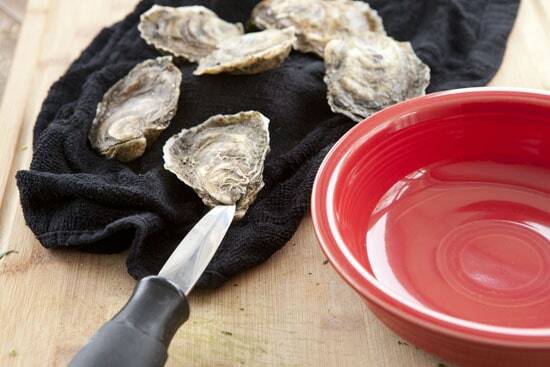 Be sure to save the juice from the oysters also when you shuck them. When you’re ready to fry, set up a simple breading station by mixing your flour, cornmeal, and a pinch of salt, pepper, and cayenne in one bowl. 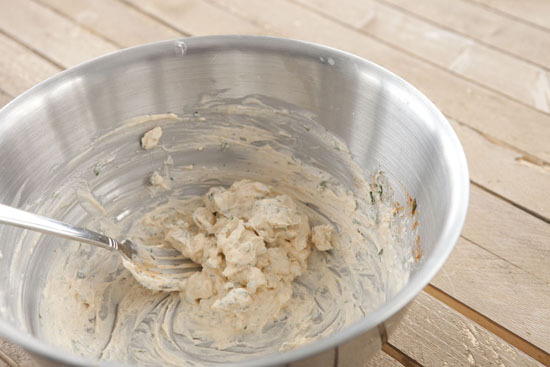 In a second bowl, whisk together the egg and a few tablespoons of the oyster juice. Then dip the oysters into the breading, followed by the egg mixture, and then back into the breading to create a nice thick crust on each oyster. You don’t need a lot of oil to fry these guys. I just filled up my cast iron skillet with about 1/2 inch of oil and heated it to 350 degrees. They will need to fry for 2-3 minutes per side and then they are done! Try not to over-fry them or they will get rubbery and tough. Once they come out of the fryer, let them drain on a paper towel. How good do these Fried Oysters look?! Try not to over-fry these guys. Of course, you could just eat the Fried Oysters with a little hot sauce and call it a day. I decided to class it up a bit though with a goat cheese topping. 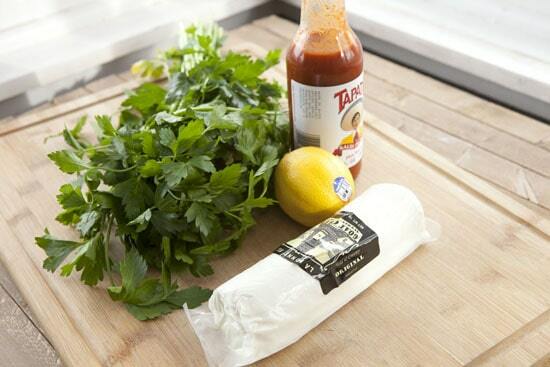 Just stir together the goat cheese, lemon zest, parsley, hot sauce, and some milk to thin out the goat cheese. I got super-fancy and served the oysters back in their shells. I think this is maybe the most restaurant-ready appetizer I’ve ever made. I wouldn’t feel bad at all charging like $18 for six of these. These Fried Oysters were crazy good and if you aren’t into the raw seafood thing, these are second best in my book. I do want to say thanks to i love blue sea one more time for sending me all this beautiful seafood. I try to be pretty discerning about who I partner with for Macheesmo sponsorships and I have zero qualms about them. I love the idea behind their company and I hope you keep them in mind if you are ever looking for some high quality seafood products. Literally drooling on my keyboard. 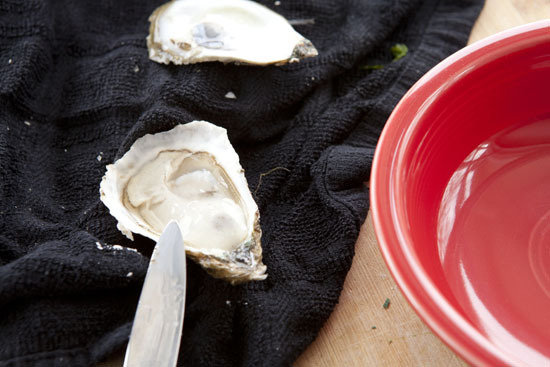 I’ve never made oysters at home before, but thanks to this recipe I officially want to try! These look amazing! Wow, this might be the best combination ever! I can’t wait to try this, I have been searching for a good oyster recipe for a while now! This looks absolutely amazing. I can’t remember another oyster dish that looks so damn desirable. Pretty sure, however, that you could put a dot of fried goat’s cheese on anything and have me drooling. Must make!